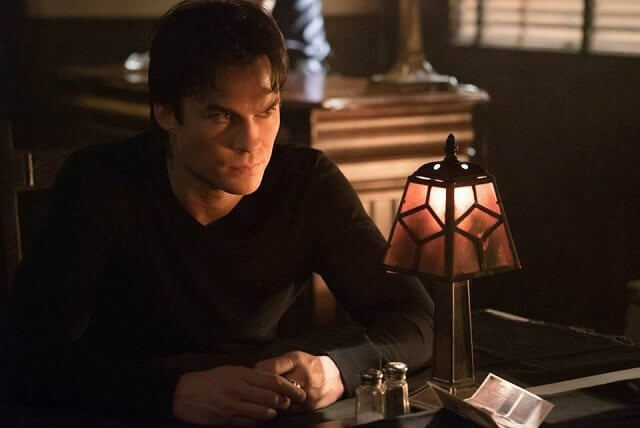 The CW’s The Vampire Diaries season eight episode 10 was one of the best so far this final season, with a batch of familiar faces returning for cameos. 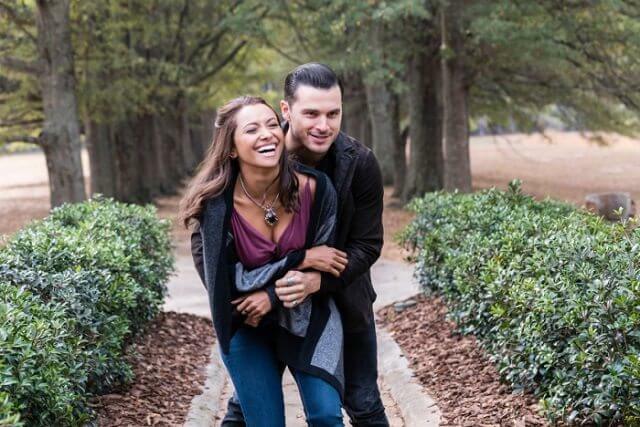 No Nina Dobrev yet – she won’t be back until the season finale – but we did get to see Kayla Ewell as Vicki Donovan, Marguerite MacIntyre as Sheriff Forbes, Michael Trevino as Tyler, and Jasmine Guy as Bonnie’s beloved grandmother. 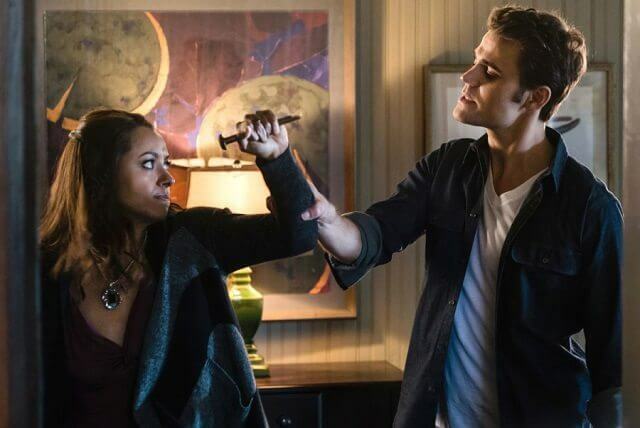 Episode 11 titled ‘You Made a Choice to Be Good’ and airing on February 3, 2017 may not bring back any long-lost characters, but The Vampire Diaries newbie Wolé Parks as Cade will figure prominently in the storyline. The cast of season eight includes Paul Wesley as Stefan, Ian Somerhalder as Damon, Kat Graham as Bonnie, Michael Malarkey as Enzo, Candice King as Caroline, Matt Davis as Alaric, and Zach Roerig as Matt. Carol Banker directed the episode from a script by Melinda Hsu Taylor and Celine Geiger. 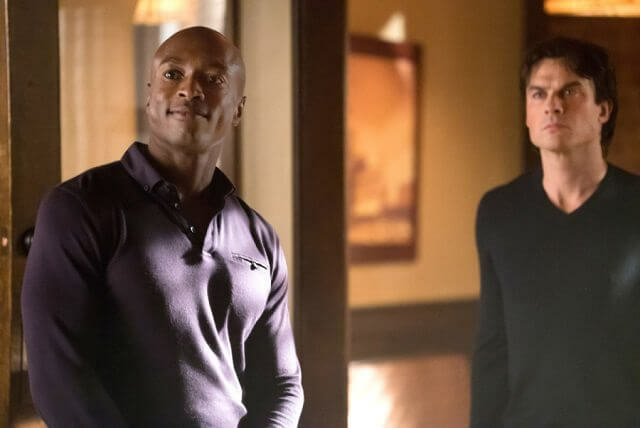 The ‘You Made a Choice to Be Good’ Plot: WHEN EVIL RETURNS – Cade (guest star Wolé Parks) returns to Mystic Falls and presents Damon (Somerhalder) and Stefan (Wesley) with additional assignments, each with unthinkable consequences. 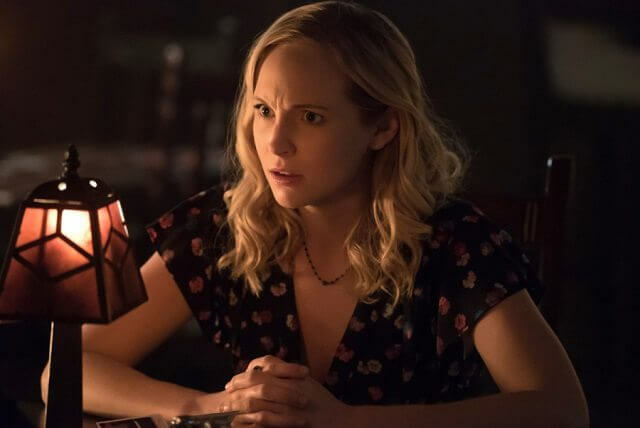 Even with tension growing in their friendship, Caroline (King) and Matt (Roerig) do their best to protect the town’s residents from Cade’s appetite for their souls. 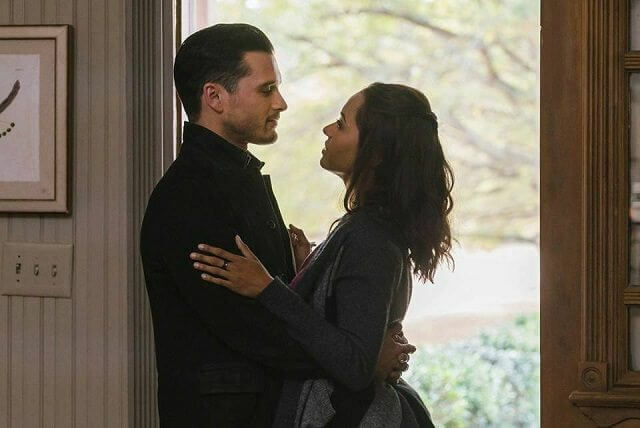 Bonnie (Graham) and Enzo (Malarkey) hit the road on a romantic trip, taking the bell with them in hopes to keep it safe.